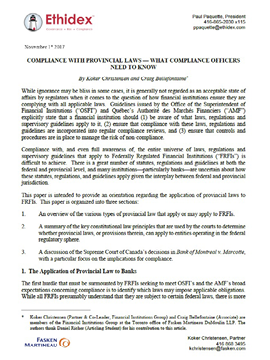 Welcome to CI’s Financial Compliance Resources and Articles page. This page will be updated regularly with whitepapers, journals, news and opinions developed by key stakeholders that CI has created relationships with. Our goal in providing the information below is to provide you with original content and insights that will help you deliver value to your organization. If you would like to contact us to offer feedback or ideas, please send an email to [email protected]. The AML shop brings together a dynamic team of leading industry experts to provide advisory and support services in governance, risk and compliance for financial services, including program development and remediation, reviews, outsourced compliance services, and training. 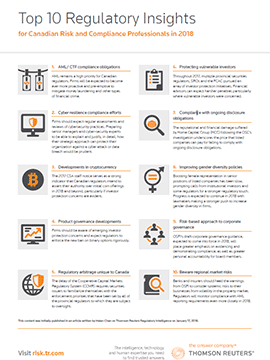 AML remains a high priority for Canadian regulators. 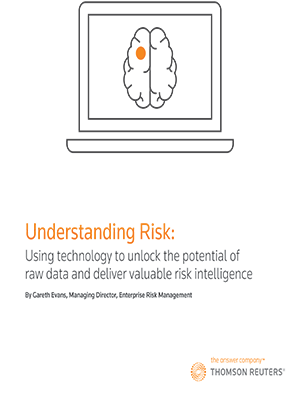 Firms will be expected to become ever more proactive and pre-emptive to mitigate money laundering and other types of financial crime. 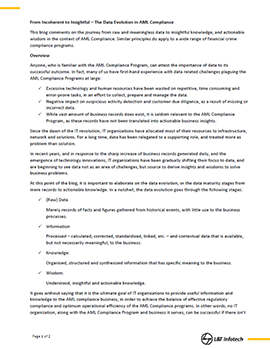 This blog comments on the journey from raw and meaningless data to insightful knowledge, and actionable wisdom in the context of AML Compliance. 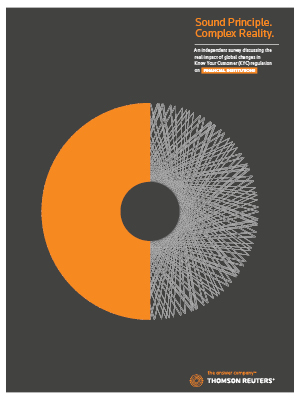 Similar principles do apply to a wide range of financial crime compliance programs. 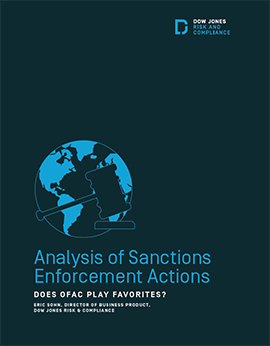 This paper will discuss recent changes to the United States (U.S.) sanction laws, increased enforcement penalties in U.S. law, the Office of Foreign Assets Control (OFAC) Enforcement Guidelines published in November 2009, as well as discuss other factors that may be driving the apparent discrepancy in U.S. sanctions enforcement of U.S. and non- U.S. financial institutions. 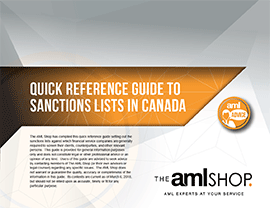 The AML Shop has compiled this quick reference guide setting out the sanctions lists against which financial service companies are generally required to screen their clients, counterparties, and other relevant persons. 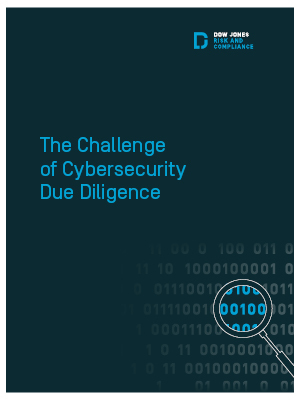 This guide is provided for general information purposes only and does not constitute legal or other professional advice or an opinion of any kind. Users of this guide are advised to seek advice by contacting members of The AML Shop (or their own advisors or legal counsel) regarding any specific issues. 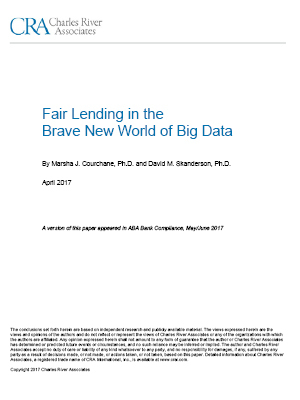 The AML Shop does not warrant or guarantee the quality, accuracy or completeness of the information in this guide. Its contents are current as of March 6, 2018, but should not be relied upon as accurate, timely or fit for any particular purpose. 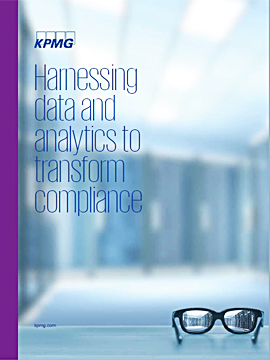 Regulatory Change Management (“RCM”) is a relatively new compliance concept. Born out of the tremendous increase in regulatory activity post the 2008 global financial crisis, RCM as a discipline is fairly self-explanatory. 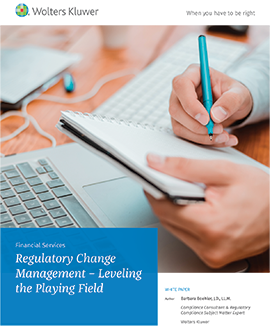 It is the process by which financial institutions manage change. Simple, right? In fact, Compliance Officers who have been in practice for a significant length of time may balk at the idea of labeling a function that is so axiomatic to the compliance role. 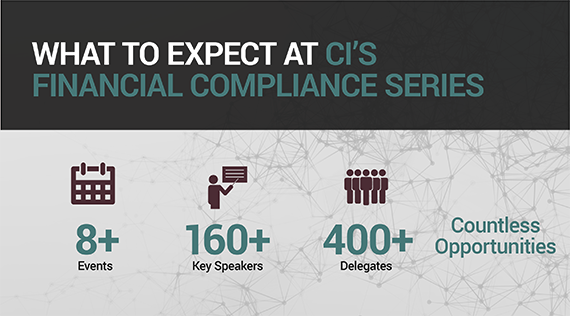 The regulatory environment is putting increasing pressure on banks and other financial institutions, as they must both focus on current compliance and prepare for upcoming changes. 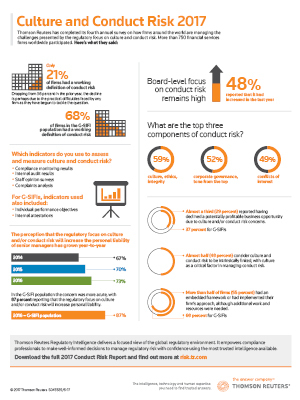 When compliance managers think about the good old days, they do not have to look back too far. In fact, prior to 2008, the world was a much simpler place: the U.S. Department of Treasury’s Office of Foreign Assets Control (OFAC) published a list of sanctioned companies and individuals, and as long as their company was not doing business with any person on that list, they seemed to be in good shape. This was definitely not an easy task. 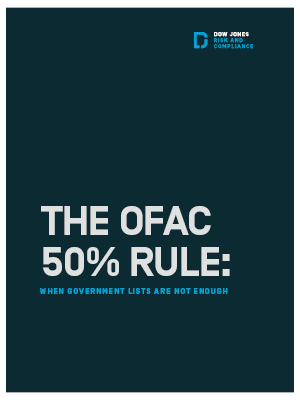 However, after 2008, it became more complicated when OFAC guidance stated that an ownership interest of 50% or more by a sanctioned subject was blocked or otherwise limited…. In a world where audiences are increasingly fragmented, and with ever diminishing attention spans, conferences provide an opportunity to engage in invaluable, interactive conversation. Few marketing routes offer such an immersive opportunity of multiple touch-points amongst a tightly targeted customer base. Intellectually and emotionally engaged, our clients have chosen to be in that very place, at that very time. We do not offer standardized, cookie cutter sponsorship packages because companies do not have standardized, cookie cutter needs. Our highly experienced sponsorship team tailors our offering to your strategic needs.